Tim Burton’s Beetlejuice is still one of my favorite movies of all time. 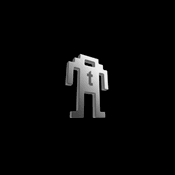 It featured a great mix of wacky characters, funny dialogue, clever stop-motion animation, quirky visuals, and lots of weird and creepy stuff too. One of the most memorable moments in the film is when Adam and Barbara Maitland (Alex Baldwin and Geena Davis) practice making crazy faces to scare the Deetz’s out of their house. Their insane faces are permanently emblazoned in my brain though. 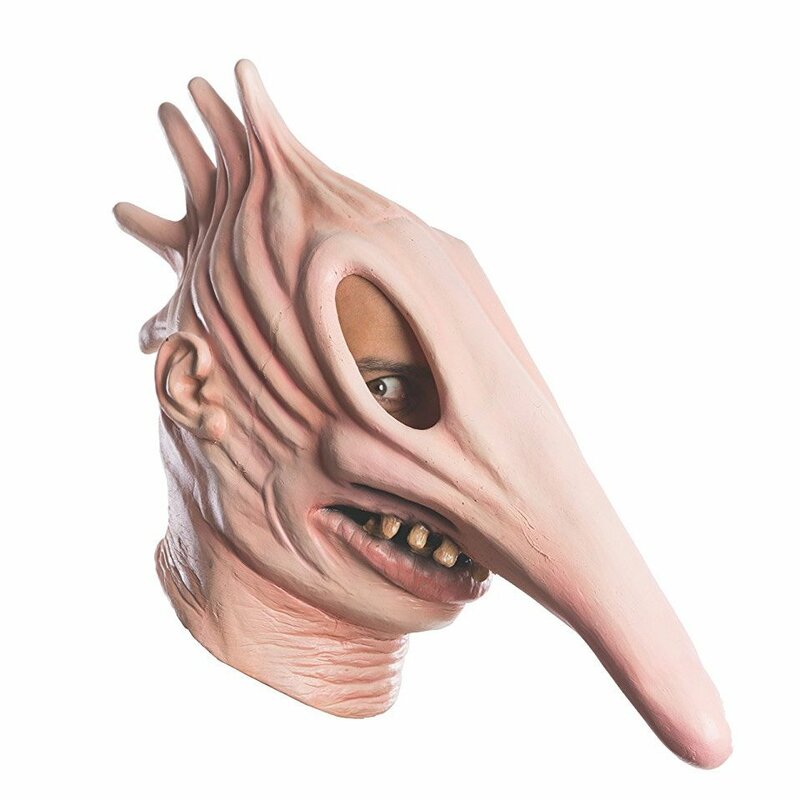 So when I saw these Beetlejuice masks for sale, I thought – my wife and I need to dress up in these for Halloween this year. Maybe we can get one of our goth friends to dress as Lydia too. 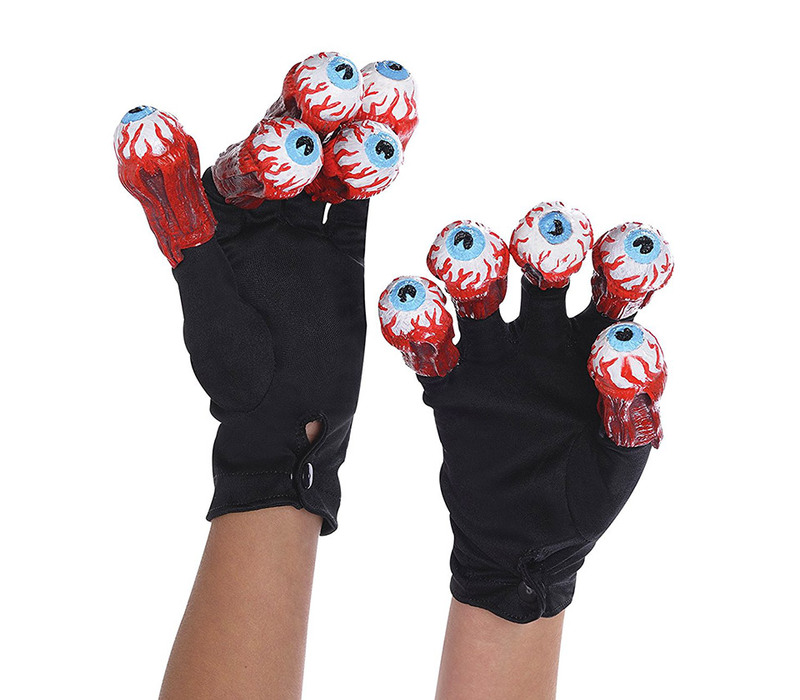 Yep, those are some ooky looking eyeball gloves to complete the look. If you’re a Beetlejuice fan like me, looks like you’re all set with a ready to go costume this year. 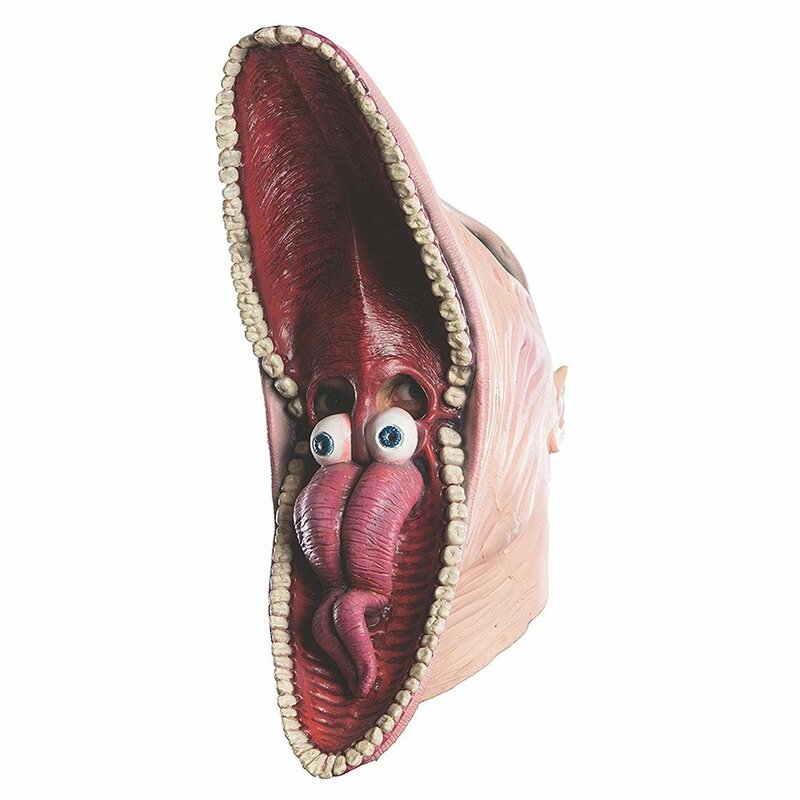 I only wish they made a costume based on Michael Keaton’s terrifying snake head.